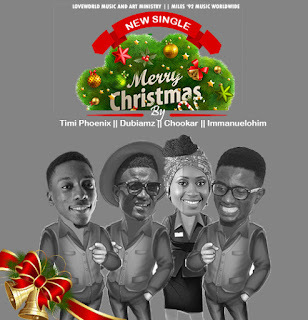 Miles ’92 Music records’ CEO and Afro-pop singer/songwriter, Timi Phoenix teams up with label mate, Dubaimz and Loveworld Music & Arts’ artistes, Chookar and Immanuelohim, to render this groovy ‘Merry Christmas‘ single. Timi Phoenix recently released his sophomore project, Triumph, a 20-track LP featuring guest appearances by Casey ED, Vspeaks, Naffymaar, Sam Jamz and more. Available today on all major digital outlets.